More than just a reporting tool, CCAP City is an aggregator of disparate datasets across planning and development, transport, environment and engagement, providing users with the ability to deliver “smart city” governance that is responsive to data, trends and city performance. The web-based platform provides the potential to track and analyse aggregate datasets from utilities and planning agencies alongside fine grain city performance tracking such as pedestrian counts, bicycle movements, solar PV installation, development applications or land use zoning. CCAP City is delivered online as software-as-a-service and backed by a team of dedicated professionals. A licence to CCAP City also includes our data management services, in which Kinesis will acquire and upload various data sets according to your reporting and analytics requirements. Integrate and store disparate data sets from various sources that inform existing and future environmental, planning and development, transport, and engagement programs. Track performance of your community across sectors and over various time scales. Maintain and report community emissions inventory in-line with international protocols (GPC, CDP, C40 & Compact of Mayors). Analyse the impact of metropolitan strategies, land–use plans, rezoning and development applications on transport patterns, water and energy demand and waste consumption. 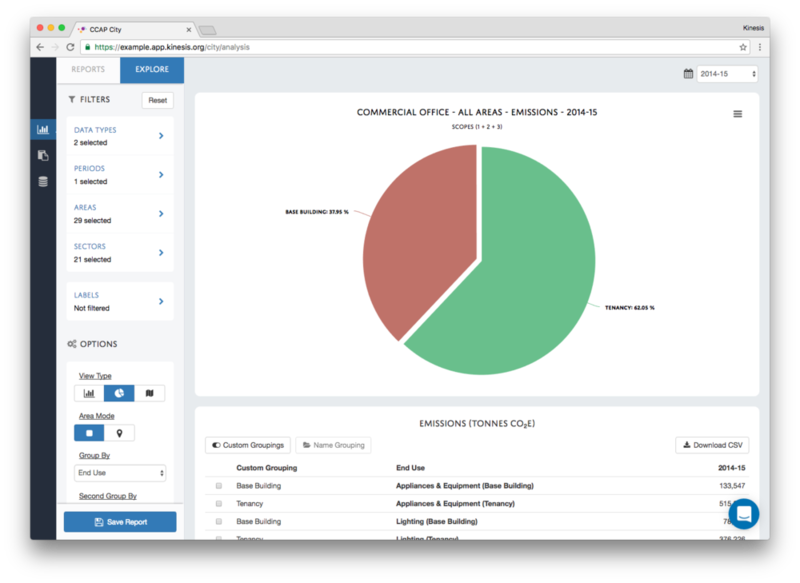 Store and visualise program data such solar installations, car share use and building or precinct performance reporting. Compare and contrast performance to local and metropolitan benchmarks and targets. 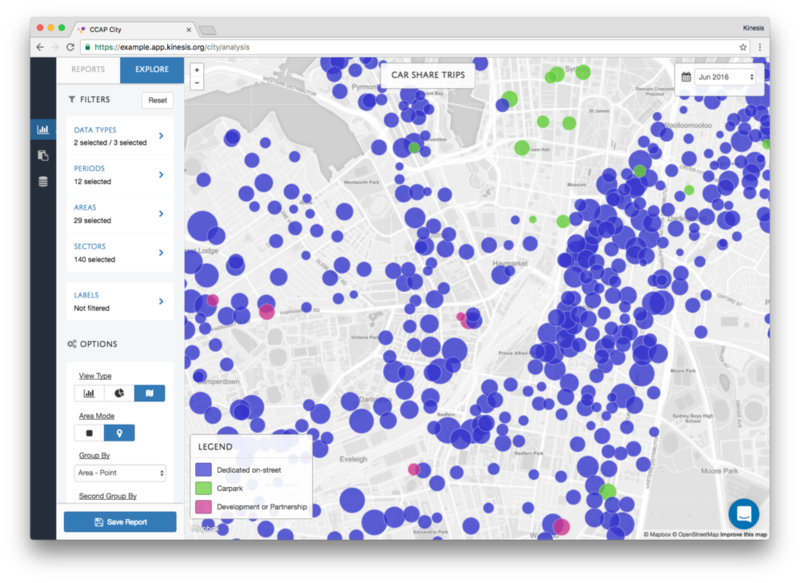 "The CCAP City tool has transformed the way the City manages and utilises various urban data sets acquired across our Sustainability and Research teams. Not only has it met our immediate requirements of streamlining our community emissions reporting in line with the GPC methodology, the tool will also enable a more responsive, data-driven approach to policy assessment across the city. Throughout the delivery of this solution, the Kinesis team has been professional, adaptive and responsive, using an agile approach to developing a solution for managing the City’s environmental performance data."